The Extraordinary Chambers in the Courts of Cambodia (ECCC) recently confirmed that Case 002 accused Ieng Thirith is unfit to stand trial as a result of suffering a progressive form of cognitive impairment. Despite being long-anticipated, this news remains a difficult reality for many victims of the Khmer Rouge to accept. This is especially true when Ieng Thirith’s specific role in the Khmer Rouge movement is considered. She has routinely been mislabeled the “First Lady” of the Khmer Rouge in the international press, a title that is both inaccurate and misleading. Ieng Thirith was not a passive individual who became linked to the Khmer Rouge solely through her status as Ieng Sary’s wife and Pol Pot’s sister-in-law, but was an influential party member who wielded nationwide power as the regime’s Minister of Social Affairs. Indeed, in this role, Ieng Thirith was personally and directly involved in denying Cambodians with even the most basic of health care during the regime’s years in power. Thus, for victims, Ieng Thirith’s access to world class health care and multiple medical experts during her detention stands in stark contrast to the improvised and often deadly brand of “health care” she helped the Khmer Rouge impose. In addition to the special medical attention Ieng Thirith has been receiving, it is also difficult for victims and indeed, all Cambodians to accept the especially vigorous enforcement of Ieng Thirith’s rights taking place at the ECCC. Even the most basic defense rights remain a largely abstract concept in Cambodian courts and so the ECCC’s statements about fair trial rights and rights of an accused are strange and foreign concepts to the average Cambodian person. 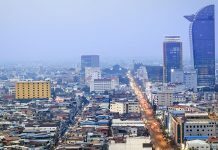 Again, the failings of the Cambodia’s criminal justice system are largely a legacy of the Khmer Rouge’s decimation of Cambodia’s institutions and civil society, creating a palpable sense of injustice for victims who see Ieng Thirith receiving a level of due process no Cambodian accused can expect when prosecuted even for minor crimes in local courts. Yet, even if Ieng Thirith is ultimately wins the race against time and accountability and is never prosecuted for her role in the Khmer Rouge, this unfortunate turn of events could still be utilized as part of the larger transitional justice process taking place in Cambodia. First, Ieng Thirith’s unfitness is not fatal to the larger justice-seeking process currently underway at the ECCC in Case 002 and will hopefully reinforce the need for the Court to move forward in the case against other Khmer Rouge leaders with all urgency. Also, the treatment Ieng Thirith has received can be a symbol of defiant compassion as a powerful counterpoint to the complete lack of compassion demonstrated by the Khmer Rouge regime. Some satisfaction can be salvaged from victims being stripped of the opportunity to hold Ieng Thirith to account in a court of law by refusing to compromise basic fair trial standards, even in the face of the horrific crimes she stands accused of. 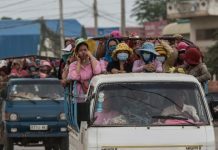 Moreover, the complex mental health issues at play at the ECCC can be used to underscore the ongoing mental health problems pervasive in Cambodia that are a legacy of the Khmer Rouge regime. During the Khmer Rouge period, the regime fought violently against even the most basic of human emotions and saw even the slightest sign of pain, such as a headache, as a symbol of weakness and imperialism. People with serious mental health issues, such as those which Ieng Thirith now suffers, were simply discarded by the regime as symbols of social weakness that needed to be excised. Now, Ieng Thirith is defiantly being shown the compassion that she actively worked to eradicate as a Khmer Rouge Minister. While this is a painful lesson for victims, hopefully in the long run it will be seen as a small victory for justice and human dignity. Youk Chhang is director of the Documentation Center of Cambodia.